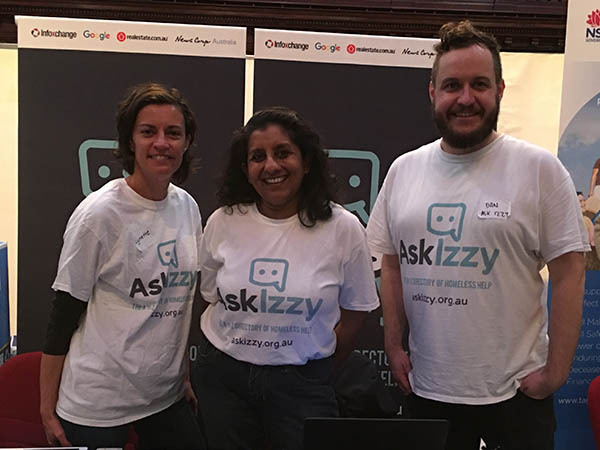 Several of our staff recently witnessed first-hand how powerful Ask Izzy can be for people who are homeless and at risk, speaking to service providers and members of the public at Sydney Homeless Connect in early July. 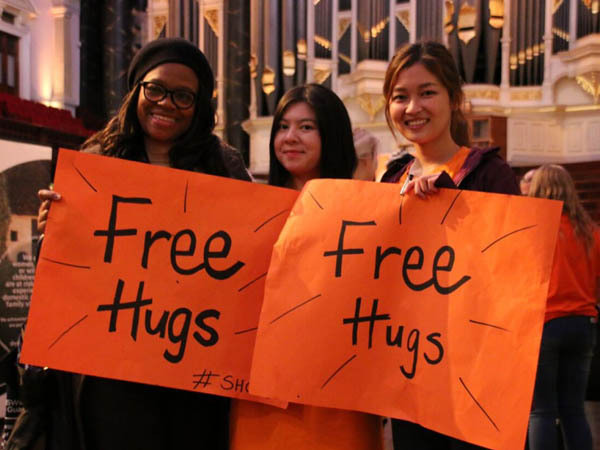 Sydney Homeless Connect is a day when service providers, doctors, dentists, hairdressers and volunteers from all over the community come together at Sydney Town Hall to provide meals, some clothing and free hugs to people experiencing homelessness from all over Sydney and beyond. Despite torrential rain, thousands of people turned out to see what was available. Sydney Town Hall was buzzing with people. Marketing and Communications Officer, Dan Salmon, says they were able to speak directly with people who are homeless and at risk about the benefits of using Ask Izzy. “One lady we spoke to described herself as a Luddite, and was sceptical that Ask Izzy would be useful for her. After we showed her how to search for a low-interest loan, she was convinced," Dan says. From left: Principal of Social Atlas, Lynette Ryan, Infoxchange Online Applications Manager, Amodha Ratnayeke and Marketing and Communications Officer, Dan Salmon. But the moment that really floored them – and showed just how valuable Ask Izzy can be – was when a support worker brought a young client to the Ask Izzy stand. “He didn’t tell us his name and we didn’t ask. We explained to him that Ask Izzy could help him search for the things that he needed, and his eyes lit up because he needed to find somewhere for he and his mum to sleep for the night. He was 14 years old,” Dan says. Dan says that it showed him just how much of a gamechanger Ask Izzy is for people in our community. Find out more about Ask Izzy.